Free Videos are produced by behavior analysts, just like you, and show a particular skill, concept, or theoretical construct. Videos are submitted by behavior analysts from all over the world. Those that meet criterion (see submission criteria) are uploaded to the site for your viewing pleasure. Videos are typically less than 5 minutes in length. The foci of the videos are clarity of the behavior analytic topic, effective presentation, and quality of the video itself (lighting, sound, editing). They don’t have to be fancy, MovieMaker©, iMovie©, or other low-cost editing programs are fine, but they must be comprehensible. Staff training and other Organizational Behavior Management – type videos are also welcome. Creativity, humor, and unique topics can absolutely tip the scales of a video that is somewhat marginal in quality. Read More . 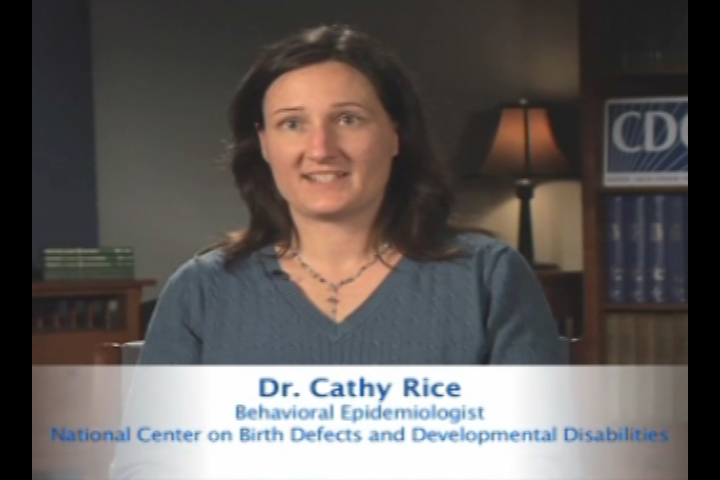 . .
A video that assists parents in recognizing some early signs of a developmental delay. From the Centers for Disease Control. A graphic representation of behavior in a time continuum, focusing on the construct that a data point is only a snapshot of an organisms behavior as the organism continues to move through time. Making picture schedules and task strips is demonstrated in this brief video from a parent training sponsored by The Toni Jennings Exceptional Education Institute at the University of Central Florida. If you walk away from an active video clip before answering the questions at the end, the host server may time out the session in the background. Unfortunately, it doesn't notify you it has done so. If you can't submit answers for the quiz, and you have checked to be sure the button is not hidden (check for a vertical scroll bar), you may be timed out. To prevent this, if you need to take a break, finish the video clip and submit the answers first! Take your break, then start fresh with the next clip in the CEU offering. If you suspect you have been timed out, log out, log back in, and select "yes" when asked if you want to continue. Selecting "no" deletes the entire CEU and you would need to re-purchase. If this ever happens, contact us and we may be able to reissue the credits so you can start again. Have you perfected a sure-fire way to teach parents how to reduce minor food selectivity? Are your staff the best mand trainers on the planet? Help us create a community of knowledge for all behavior analysts, and especially for those who lack professional development resources, mentoring, or who are practicing in rural areas. The penultimate video for each construct, skill or concept will be peer reviewed and posted on the Periodic Table of Behavior Analysis©. We encourage instructors to challenge their students to create training videos as a part of their coursework. A key component of Applied Behavior Analysis involves teaching others how to implement programming with fidelity. Creating good training videos forces the producer to conceptualize the construct, organize their materials and resources, task analyze the process and edit wisely. Video can help bridge the gap between telling and teaching, by giving exemplars of correct implementation. Are you seeking employment, or a promotion within your agency? Send your prospective employer to your videos on TheBehaviorAnalyst.com to show your training prowess. Don’t just talk about what you can do, show it! Feel free to use the videos as teaching aids and resources, however, TheBehaviorAnalyst.com/ Behavior Services of Brevard retain all rights to submitted videos, they cannot be copied, used for CEUs or any other commercial purpose without express permission from TheBehaviorAnalyst.com/ Behavior Services of Brevard. Keep in mind that a release must be signed by each person (or their legal representative) who is shown, or whose work is shown, in any videos submitted. Music, graphics, photos or other materials included in the video must be royalty-free, or a copy of the release for its use must be included with the other submission materials. In addition, each video must be submitted or reviewed for content by a BCBA or an instructor of Behavior Analysis at the college level prior to submission. The review form must accompany the releases when the video is submitted.